Prepare the spiced fish fry coating – mix flour, bread crumbs with spices, roughly 50:50 adding a fair amount of chili powder/paprika/salt. Depend on how hot you like it be sparingly on the cayenne. 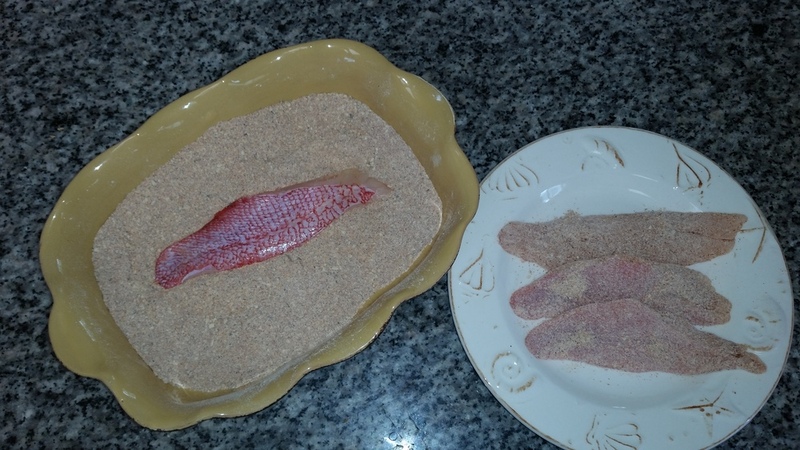 Rinse fish and pat dry, coat both sides of fish in the spiced mixture. Preheat oil to mid-high in heavy bottomed pan (cast iron works best). Skin side down, add the fish to the oil and cook for 2 minutes, turn over cook for 2 more minutes. These fish tend to curl when you cook them. They are great for adding to pasta or rice dishes or fish tacos.